Our northwest playground offers prime terrain for cross-country skiing of all types and at all levels. Enjoy our Northwest winter landscape by kicking and gliding your way through the scenery. Cross-country skiing is a great way to stay in shape, make new friends, and enjoy the outdoors throughout the winter. Our branches offer a wide variety of courses, from multi-weekend series to single-day clinics, and from beginner courses to courses designed for the more advanced cross-country skier. This class is designed for new skiers or skiers who want to learn the basic skills of cross-country (Nordic) ski technique. 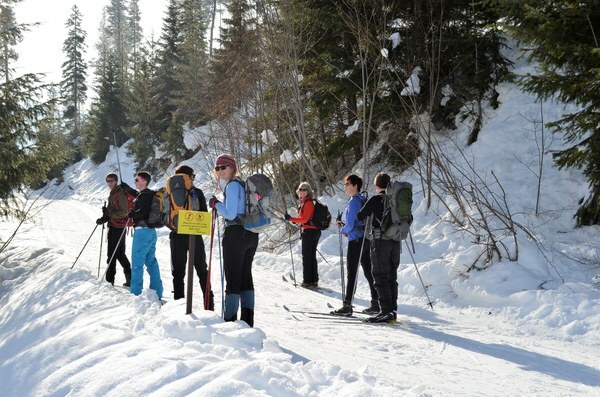 Whether your goal is to ski logging roads, groomed ski trails, or the untracked backcountry, this is the class for novice XC skier to start with. Completion of the class prepares you to ski confidently on beginner groomed XC trails. In January and February by our Everett, Seattle, and Olympia Branches. The Everett and Olympia courses include the basics of winter travel, while the Seattle courses focus on skill technique. The Seattle Branch also offers introductory and intermediate skate skiing courses. This course is for graduates of the Basic Cross-Country Skiing Course who want to learn more, or for experienced cross-country skiers who want to brush up on their technique. The Intermediate Cross-Country Skiing Course is a three-week course designed to help you ski confidently with grace and style on more challenging terrain. The course is taught by knowledgeable and friendly PSIA-certified instructors on groomed trails. You will refine your balance, glide, timing, rhythm, and power. In January by our Seattle Branch. 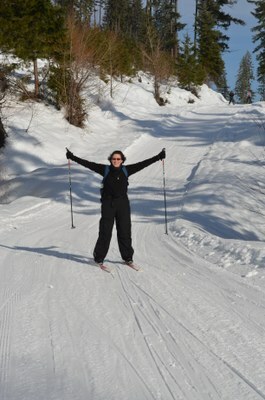 If you ski in the Cascades, you need to learn to ski the hills! For graduates of one of our Basic Cross-Country Skiing Courses, and experienced Nordic skiers, this clinic focuses on hills - how to get up them, how to ski down them, how to adapt your technique, and how to maintain control of your skis - all while having fun! Completion of this clinic prepares you to confidently ski on intermediate and advanced groomed trails, and easy off-piste terrain, with less effort, enhanced confidence, and more grace. This clinic may be taken concurrently to the Intermediate Cross-Country Skiing Course, offered by the Seattle Branch each winter. In February by our Seattle Branch. The Mountaineers offers multi-week courses on both Basic and Intermediate Skate Skiing, as well as half-day and full-day clinics. In January and February by our Seattle Branch and at Meany Lodge. 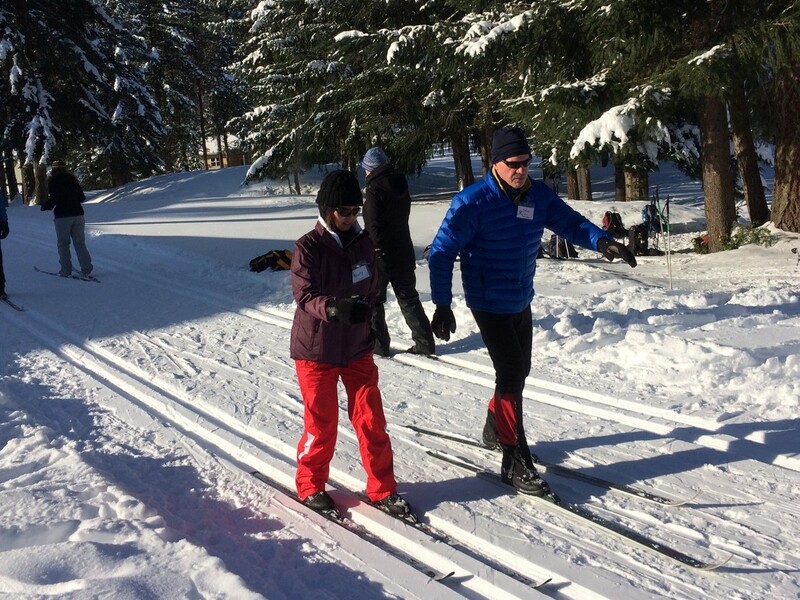 The Foothills Branch offers several opportunities for new or experienced cross-country skiers at Meany Lodge. Looking for beginner friendly, one-time experience? Sign-up for a Trek & Lunch, which consists of a 3-5 mile ski that ends with a hearty hot lunch at Meany Lodge! Looking for some skill instruction? Sign-up for one of Meany’s ski camps, classic or skate! to hone your skills and get some more experience. In January and February at Meany Lodge.